The Western Front is in stalemate. 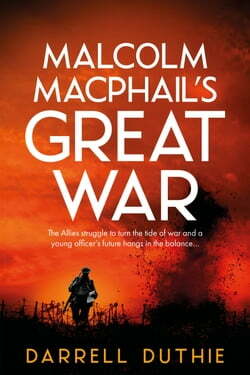 Captain Malcolm MacPhail of the Canadian Corps has been in the trenches for longer than he cares to remember. He’s just landed a new job on the intelligence staff, but if he thinks staying alive is going to become any easier, he’s sorely... read more mistaken. The rain is pelting down, the shells are flying and the dreaded battle for Passchendaele looms. Malcolm reckons matters can still get worse. Which proves to be an accurate assessment, especially as his unruly tongue has a habit of making enemies all on its own.